People-watching and relaxing in the night air in one of Rome’s picturesque public piazzas: Get tips for enjoying Rome’s more intimate side after sunset. Then a guide to New York City tells us where you can get in touch with the city's forgotten history and its multicultural character, and hear from a few daring souls who find adventure in high places. 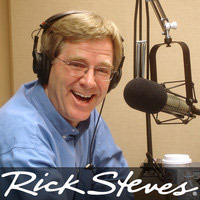 Gene Openshaw, art and history specialist, co-author of "Rick Steves' Europe 101"
Francesca Caruso's website includes her contact information. Rick wrote a blog posting a few years ago about "Rome By Night." Moses Gates' New York City touring and city exploration website includes blog articles with photos from Moses' bridge climbs. Moses includes a brief promotional video for Hidden Cities on You Tube. Tarcher/Penguin Books includes a short Q and A with Moses Gates on its website. The No. 7 "Flushing" train line in Queens goes to several national heritage sites. Caller Monique enjoyed a guided tour of the Lower East Side Tenement Museum.